Base Depth: " Runs Open: /115 Summit: 10550ft. New 24HR: " Lifts Open: Vertical: 2020ft. New 48HR: " Snowfall YTD: Base: 8530ft. One of only three remaining areas in the United States to be a skier’s-only mountain, Alta has been voted the #1 resort in the U.S. by Skiing magazine for five years running. The beautiful scenery and deep powder are perfect for aspiring skiers, and tourists have access to everything they need from lodging to world class dining. 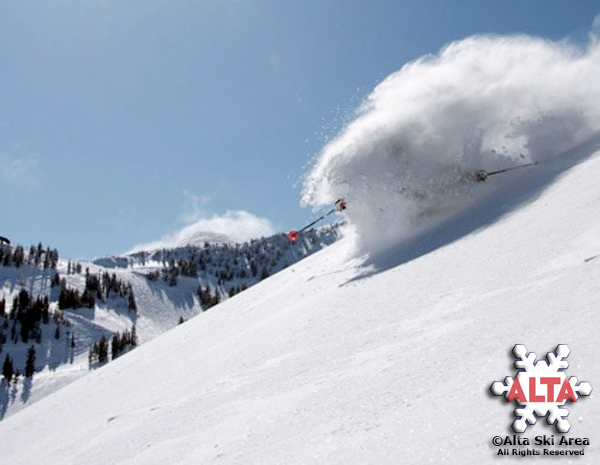 Alta’s wide variety of terrain provides opportunities for skiers of all skill levels and ages. From beginners to experts, this resort is a local favorite. Couples, families, and friends can enjoy the slopes together, no matter how different their expertise, and inexpensive lift tickets along with the close proximity of Salt Lake City allow for a diverse vacation that won’t break the bank. Alta also offers eager adventurers the opportunity for helicopter or snowcat tours, so you can experience the entire mountain as never before. At the top of Little Cottonwood Canyon, this resort is one of the premier destination spots for the winter season. Don’t miss your Alta experience. A big dog for serious skiers. Feels like Europe…a little wild…gets your heart pumping. One of the USA’s great ski mountains. I pay a little more attention when I’m at Alta. I had a great day Sunday. Sunny and lots of Powder. Be sure to grab a discount lift ticket on you way up. I stopped at Ski N See, its right on the way, and saved 6 or 7 bucks. It almost paid for lunch. Bluebird pow day at Alta… Best ski day of my year by a mile! Such a good day for some spring skiing! Got my demo Armada JJ’s at Ski N See today cant wait to buy them!